For our latest in-depth look at some of the exquisite watches we currently have available here at Bob’s, we are going to concentrate on a stunning Rolex Explorer ref. 1016 that is the living embodiment of the word vintage. Read on to discover everything you need to know about this absolute beauty. 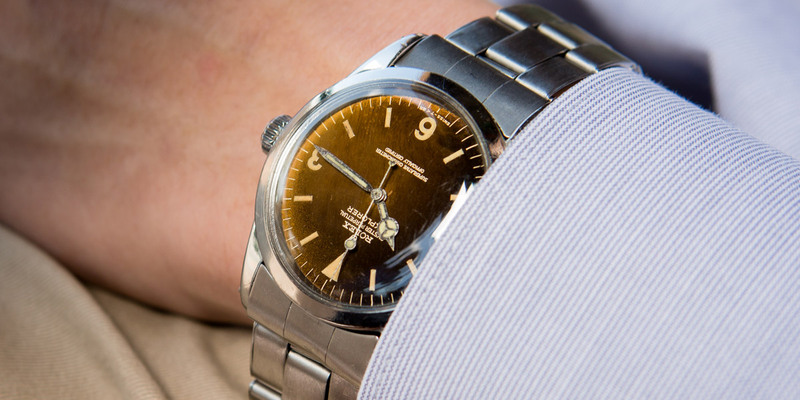 A little history lesson about the Rolex Explorer. Rolex has always used the world’s harshest environments as its proving ground, carefully building its reputation of making the most robust and reliable watches in the business. Their creations have been worn by the first people to break the sound barrier, dive to the very lowest depths of the ocean and beat land speed records. In 1953, they also reached the highest point on earth when they accompanied Sir Edmund Hilary and Sherpa Tenzing Norgay as they conquered Everest. The prototype watches that went with the mountaineers on their epic ascent were dutifully sent back to Rolex HQ for testing when they returned home, and the information gleaned from them formed the basis of the initial Explorer. This Explorer ref. 1016 has a gradient patina. 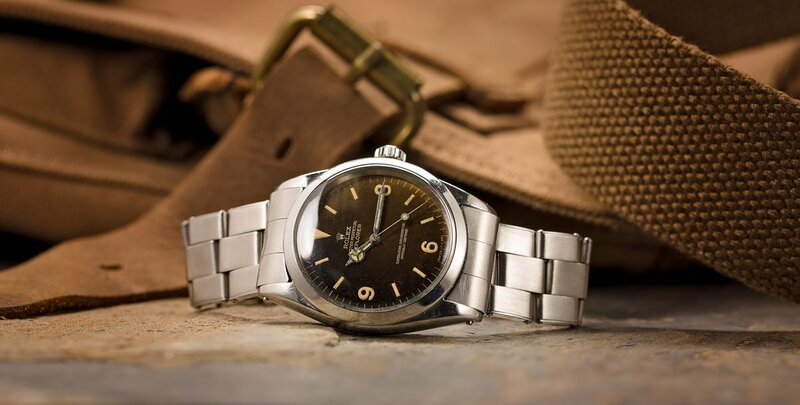 The Rolex Explorer 1016 became the third iteration of the series when it appeared in 1963, a design so successful it enjoyed one of the longest production runs in the company’s history; a replacement not being deemed necessary until the ref. 14270 was launched in 1989. During its 25-year run, the ref. 1016 lived very much in the shadow of the rest of Rolex’s sports models, as the Explorer range always has in fact. While the likes of the Submariner, GMT-Master and Daytona went through regular updates in materials, colors and calibers, the only notable revisions to the 1016 were a switch from gilt to matte dials and the introduction of a hacking feature when the original Cal. 1560 was changed to the 1570. The Explorer ref. 1016 has a simple design, yet it was made to face the toughest of conditions. The 1016 is a different breed of Rolex. Where the rest of the sports range have evolved beyond their tool-like origins and become more statement pieces, there’s very little in the way of showiness in the Explorer. It’s just a watch for people who love and appreciate beautifully simple and handsomely elegant timepieces. Have an obsessive need to be the center of attention? Then this is probably not the watch for you. 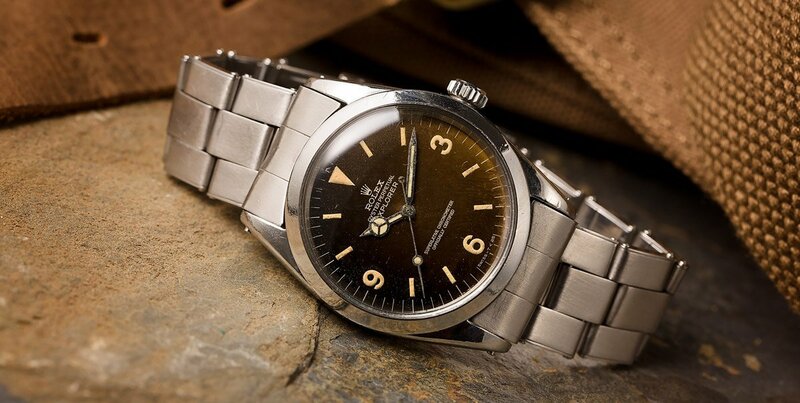 The Explorer 1016 we have here dates back to 1965, and looks precisely like an adventurer’s watch should. That gilt dial, one of the most legible Rolex have ever produced, has aged to perfection. Its deep tropical patina is not only a visual representation of the watch’s story, giving it a personality all its own, it also makes the piece one hundred percent unique. You won’t find another example that looks exactly like this anywhere. The Explorer ref. 1016 is like fine wine with many unique tropical dials. Similarly, the hands and hour markers have warmed in color to a rich cream and the 3/6/9 indexes, in their typically 60s font, remain sharply readable. The 36mm case is waterproof to 100m, protecting the original non-hacking Cal. 1560 movement, and tapers smoothly into the Explorer’s characteristic pointed lugs. Our model sits on the USA Rolex Oyster C&I rivet bracelet, with 11 links. 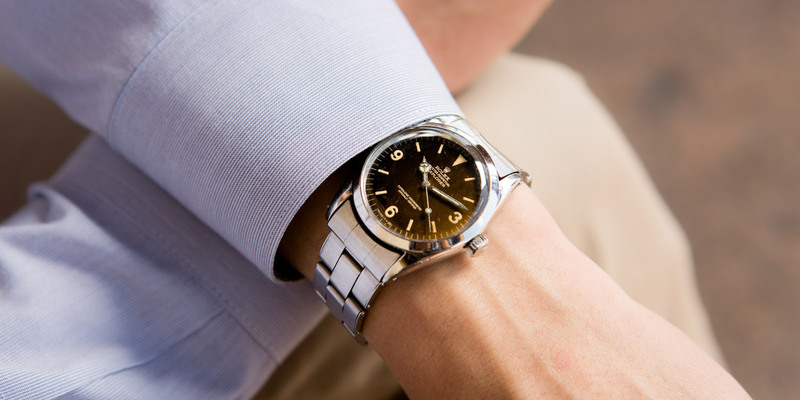 The Explorer series is fast becoming the serious Rolex aficionado’s new favorite purchase. In a world of ceramic bezels and precious metals, they are seen as the one watch that has stuck rigidly to the founder’s original intention—a faultless performer that’s tough enough to go anywhere and last several lifetimes. The ref. 1016 is a modest, beautiful design that somehow manages to be both retro and contemporary at the same time, and the exceptional example for sale at Bob’s Watches deserves pride of place in any collection.